The history of African American artists is replete with the names of pioneers who broke barriers in the pursuit of mainstream professional success. There was Joshua Johnson, the first African American professional painter, in the late 1700s. As a free man of color in Baltmore, he advertised his services to paint commissioned portraits for wealthy families. In the 1890s, Henry Ossawa Tanner was the first major African American artist. Tanner, refused awards in the US because of his skin color, emigrated to France, where he became famous and remained for the rest of his life, painting such iconic images as The Banjo Lesson. In the 1940s, painter Jacob Lawrence's paintings were the subject of a major solo exhibition at the Museum of Modern Art in New York City and were the first to be sold at high-end Manhattan art galleries. In the 1960s and 70s, The Highwaymen mass-produced tropical landscapes for the tourist market along Florida's Route 1, supporting themselves and their families by painting. This summer, the graphic arts world mourned the death of Thomas Miller at the age of 91. Miller helped design the iconic Motorola "batwing" logo and the logo for 7UP, in an era when only a few black artists were hired in the design field. Fast forward to modern-day Hollywood. I had the privilege recently of meeting such a pioneer, a 21st century artist who has found success in the film industry. His name is Peter Ramsey. His work has been viewed hundreds of millions of times around the world, yet he remains relatively unknown outside of his world. He is the sort of behind-the-scenes creative leader that makes things happen. And he is an artist. Ramsey was here in the Bay Area recently, and I had a chance to see his upcoming film on view at the Mill Valley Film Festival. There was a packed house of kids and adults, hardly the usual film festival audience. (Above image from Mill Valley Patch. Photo credit: Tommy Lau/Courtesy CFI). I was impressed with this 3D animated film, his debut as the first African American director of a major animated film. This is a major holiday movie to be released later this year. After the festival, Dreamworks Animation Founder and CEO Jeffrey Katzenberg was presented with an award by the California Film Institute. He thanked Festival Director Mark Fishkin and the audience: "What a great place to bring our great creation out into the world. This is opening night for us." Then, Katzenberg and Ramsey appeared with others on a "Q&A" panel. Following the program, I approached both men, first Katzenberg, then Ramsey. Ramsey is a tall man, serene, pleasant and easy to talk to. I told him that Katzenberg, when asked about his selection of Ramsey as the "first," responded, "I picked him because he's talented. He earned it. Every job he's ever had, he's exceeded expectations. He was ready." Katzenberg's Dreamwork has established an active outreach program to locate talented young college-age artists for entry-level training positions, as well as the DreamWorks Animation Academy at Inner-City Arts on Skid Row in downtown Los Angeles, to instruct younger students. Ramsey's response to the boss's praise was typically thoughtful. "If he's (Katzenberg) saying that, he doesn't make decisions lightly. He's a businessman. He knows his business, so I take that as a high compliment. These decisions don't get made without him giving the stamp. He saw me coming up at the studio since I first arrived as a story artist. I had worked with (producer) Aron Warner when I worked for the Shrek movies. He believed in me. He brought me up through the ranks. By the time Rise (of The Guardians, the new film) came around, he (Katzenberg) knew I was ready." Of course, he wasn't born ready. It took a long time and lots of sketching to become the successful professional artist he is today. Son of a 25-year career postal carrier and an elementary school aide from the Crenshaw District of South LA, his first memory as an artist (at age 4) was sketching (with ink) in the margins of his mother's old Good Housekeeping and Ladies Home Journal magazines. "I think everybody has the capacity to draw, it's a question of whether you stop...If somebody had said, 'You can't draw,' or if I'd said, 'I cant draw, it's too embarrassing,' I might have stopped. But for whatever reason, I kept trying. I subconsciously taught myself a lesson about perseverance." A gifted and motivated child, he continued to draw and paint all the way through middle school. He was bussed westward for high school, graduating at seventeen from Pali High in Pacific Palisades. "It wasn't known as an 'art' school per se. But I had a good high school art teacher. I had already been drawing and painting on my own. She exposed me to watercolor, charcoal and different kinds of pen-and-ink techniques." After two undergraduate years in the Fine Arts department at UCLA, he left college disillusioned with a career as a fine arts painter. "The way I felt most comfortable using my art skills was to tell stories. It was about narrative to me rather than a single image," he explains. At LA City College, he took classes in the film department while working in a bookstore. Inspired by a friend's interest in screenwriting, he decided to focus, got an agent and booked his first movie. His first job in Hollywood? Painting a mural, hardly a glamorous introduction to the business. "I didn't have any relatives or connections," he remembers. "But when I saw this guy was doing it, I thought, 'Wow man, maybe I could do it, too.'" From that entry-level post, he proceeded to a decades-long career as a storyboard artist, illustrator, continuity artist and production illustrator. Along the way, he sketched and painted his way through over twenty-six big-budget Hollywood films, most of them action films with cutting-edge computer-generated special effects. The list is long and impressive, from A Nightmare on Elm Street: The Dream Child in 1989, to: Batman Forever in 1995, Independence Day, Men in Black, Being John Malkovich, Fight Club, How the Grinch Stole Christmas, Tank Girl, A.I. Artificial Intelligence, Minority Report, Adaptation, Dracula, Godzilla, Monsters vs. Aliens and Shark Tale. 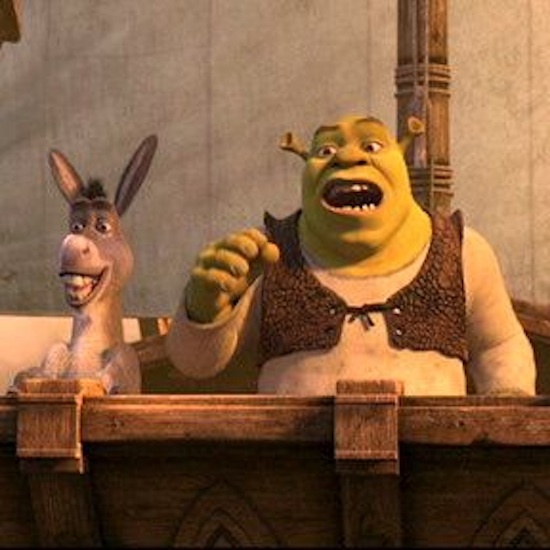 As a story artist, he worked on two Shrek films (see image below of characters voiced by Mike Myers and Eddie Murphy in Shrek The Third). He honed his skills as a 2nd unit director in several major films including Poetic Justice, starring Janet Jackson and the late Tupac Shakur. So he was prepared with the artistic and directorial experience to eventually be selected for this major "first." When asked if his identity as an African American had a role in his movie career, his answer was surprising. "It's never been an issue at Dreamworks being African American. I never really thought seriously about it. Then I showed my mom and dad an article about this new film. They had tears in their eyes, so I guess I realized this was a big deal (my being the first African American to direct a major animated film)." "Keep doing what you're doing---if you love it, if it's not about the money or the fame. Don't let anything stop you from doing that. Technology has made a huge difference for today's young people. If I could have made a movie on an iPhone back then, instead of spending all that money on 16 mm film, etc., I would have gone straight to iPhone. I would practice visually telling stories however I could." Aspiring film artists should also look into outreach programs around the country. 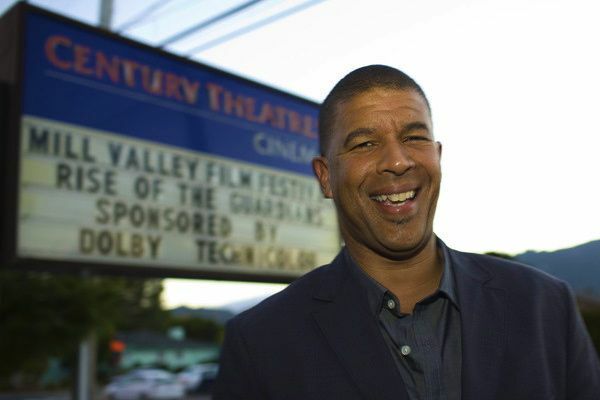 For example, in connection with the Mill Valley Film Festival, the California Film Institute has an educational outreach program, including a summer filmmaking program for socioeconomically diverse young people aged 13-18, My Place/My Story. Before opening in theaters at Thanksgiving, Ramsey's directorial debut film is already on the film festival awards circuit, from the San Francisco Bay Area to a position as a red-carpet Centerpiece Gala at the American Film Institute's AFI Fest, a screening at the Cannes Film Festival on the southern coast of France, then to the Rome Film Festival in Italy, where Ramsey is set to win the first annual Vanity Fair International Award for Cinematic Excellence next month. It's a good life, doing work that he loves, not for the money or fame but because it's what he does best. He believes it's a life other young people could achieve with talent, drive, perseverance, good teachers and good mentors. As Ramsey said during the Q&A, "Getting to think up all of this stuff, it's a dream job. It really is." If any young black artist shares the same dream, they can look to Peter Ramsey's example and know that yes, it is possible to achieve.